In all likelihood, you, or someone you know, lives in a Condominium Association or Homeowners Association. In either environment, disputes arise. Fortunately, your community can rely on the experience and common sense guidance of Kelly A. Blum. Mr. Blum has been a member of the Florida Bar for seventeen years. The majority of those seventeen years have been spent representing condominium and homeowners’ associations exclusively and throughout South Florida. 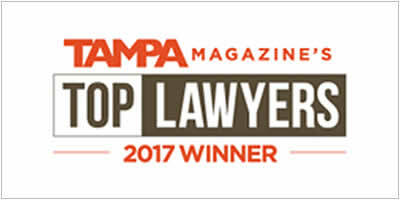 Mr. Blum ran his own Community Association Law firm and recently joined the team at FL Legal Group in Tampa, which marks a return to the area he calls home. He is a full-service Community Association Lawyer. That means if your community needs a lawyer to vigorously pursue collection efforts, enforce, or amend its Governing Documents, or just about anything else, Mr. Blum is your community’s lawyer. Mr. Blum’s focus is on taking the take a long-term view of the issues that present themselves to communities and finding the solutions. This strategy inevitably leads the communities under his guidance reducing costs and turmoil. His approach lends itself to making the everyday issues manageable, such that everyone’s life, directors, members and Property managers, becomes easier within the community. By utilizing his long-term approach, the community’s board becomes proficient in meeting their various duties and the members are better able to live in harmony with one another. So, whether your community needs a legal opinion in plain, easy-to-understand English, a report concerning how the statutes have been amended, a recommendation concerning how to effectively deal with a request for a reasonable accommodation, such as an Emotional Support Animal, Mr. Blum is your community’s lawyer.